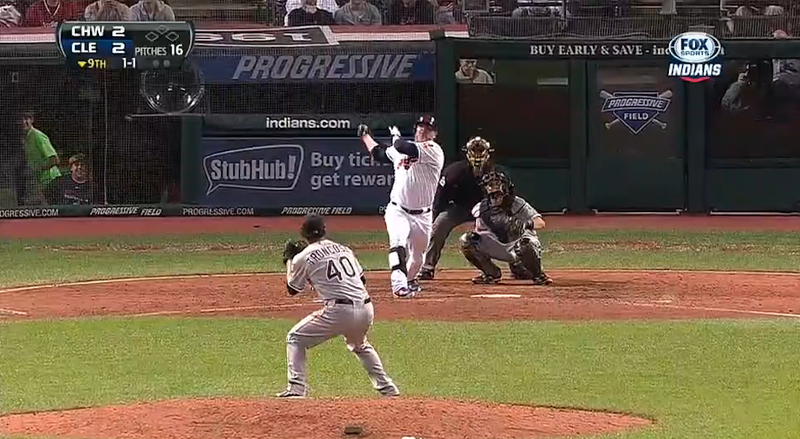 Jason Giambi gave the Indians a 3-2 win over the White Sox with this walk-off home run to deep center field. Giambi, 42, is apparently the oldest man in baseball to hit a walkoff home run, narrowly edging out Hank Aaron by 45 days. They're having a lot of fun in Cleveland tonight.